JJustin is a Seattle-Tacoma personal injury attorney whose practice is devoted to representing badly injured people who were victimized by others. Justin fights tirelessly to make sure injury victims get a fair shake from the insurance industry – whether through hard-fought negotiation, mediation, arbitration, or in front of a judge and jury. Justin is licensed in state and federal court throughout the Puget Sound area and the entire State of Washington. Justin was raised in Snohomish County, Washington before attending the University of Washington, where he graduated with honors and was actively involved in student government.. 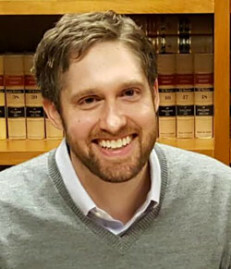 Following college, Justin obtained his law degree from the Seattle University School of Law and a “Master of Laws” from the University of Washington School of Law. To this day, Justin remains a proud financial supporter of the University of Washington athletic department. Justin’s roots are firmly planted in the Puget Sound area and throughout Western Washington. He chooses to make this region a better place by ensuring those without a voice are heard and that victims of injuries find justice.